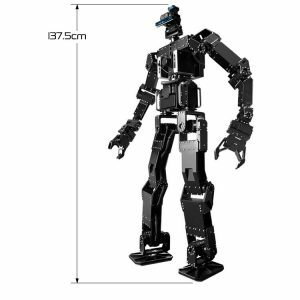 The 5720T CREATOR Robot Kit build a variety of unique robots from a single set of modular parts. 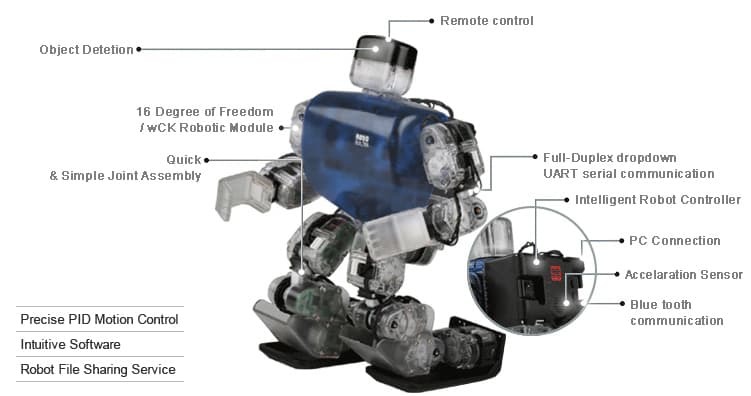 RoboBuilder offers a complete kit of interchangeable modules which come together to form computer programmable robots. 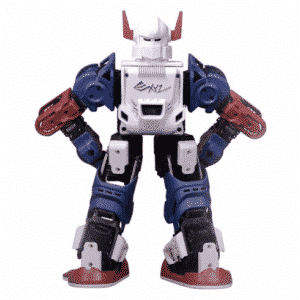 These robots are built by simply plugging and screwing block-type robotic operator modules. 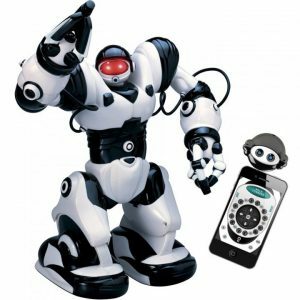 These robots are remote controlled and motion files are downloadable from the internet. 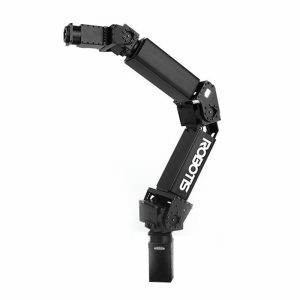 Out of the box, there are three “standard” robot platforms, HUNO, DINO and DOGY. 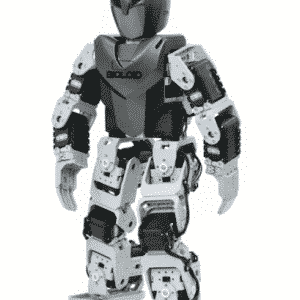 HUNO is a humanoid robot, capable of walking on two legs, and can perform moves like walking, jogging, headstands and kicking. By motion programming, you can have it dance, do martial arts. DINO is a dinosaur robot with three legs including its tail. The prehistoric robot can move much faster than HUNO, and can walk, jog, tail kick, etc. Last but not least is DOGY, a four-legged puppy. Thanks to its extra legs, it\’s the fastest of these three robots, and can be programmed to run, sit, and lie down or perform other dog-like movements. 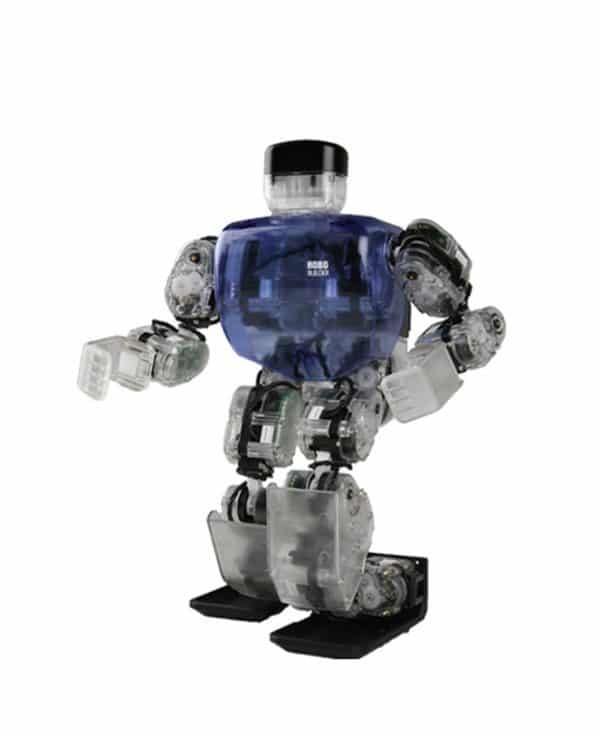 These robots can also be programmed to react to external inputs from sound to vision. 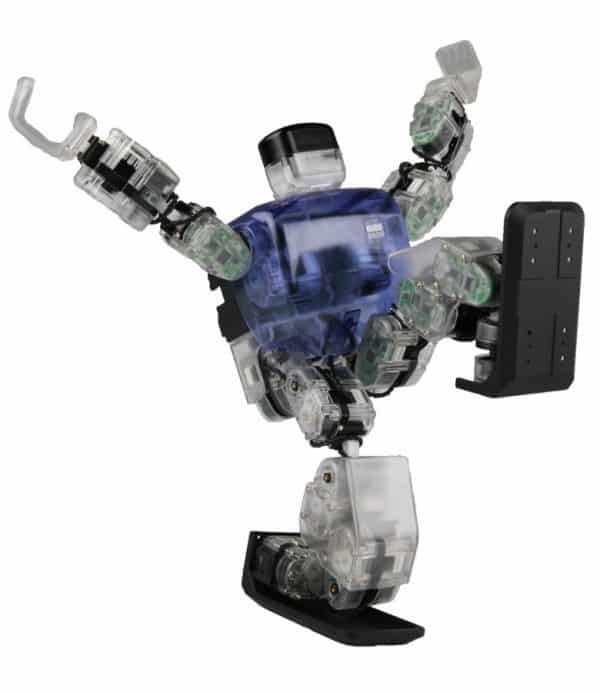 This robot kit come in either a simple black design, or a clear body loaded with programmable LEDs inside under the see through shell, letting you easily create your own disco-bots. 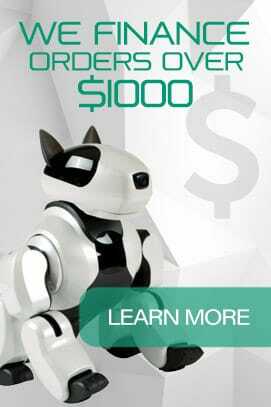 Best of all RoboBuilder is encouraging its users to share designs and programming on their online community.